In 1906, Sinclair acquired particular fame for his classic muck-raking novel ''The Jungle'', which exposed labor and sanitary conditions in the U.S. meatpacking industry, causing a public uproar that contributed in part to the passage a few months later of the 1906 Pure Food and Drug Act and the Meat Inspection Act. In 1919, he published ''The Brass Check'', a muck-raking exposé of American journalism that publicized the issue of yellow journalism and the limitations of the "free press" in the United States. Four years after publication of ''The Brass Check'', the first code of ethics for journalists was created. ''Time'' magazine called him "a man with every gift except humor and silence". He is also well remembered for the line: "It is difficult to get a man to understand something, when his salary depends upon his not understanding it." He used this line in speeches and the book about his campaign for governor as a way to explain why the editors and publishers of the major newspapers in California would not treat seriously his proposals for old age pensions and other progressive reforms. Many of his novels can be read as historical works. Writing during the Progressive Era, Sinclair describes the world of industrialized America from both the working man's and the industrialist's points of view. Novels such as ''King Coal'' (1917), ''The Coal War'' (published posthumously), ''Oil!'' (1927), and ''The Flivver King'' (1937) describe the working conditions of the coal, oil, and auto industries at the time. 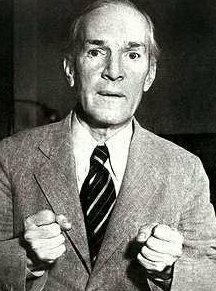 ''The Flivver King'' describes the rise of Henry Ford, his "wage reform", and the company's Sociological Department to his decline into antisemitism as publisher of ''The Dearborn Independent''. ''King Coal'' confronts John D. Rockefeller Jr., and his role in the 1913 Ludlow Massacre in the coal fields of Colorado.